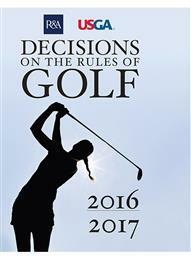 Rules Question - ask the rules experts at the NCGA! Have a nagging rules question you want answered? Have an argument that needs to be resolved? Saw an incident on television that has you confused? The NCGA wants your assistance in providing more information on the Rules of Golf. Put the NCGA’s team of rules officials to the test. Submit your question/situation below and receive an almost immediate answer. Additionally, you may learn more about the USGA Rules Modernization here.